In brain injury claims cases, our experience pays. Accidents and incidents can have different impacts on their victims, ranging from mild bruises and scars to severe harm to the mind and body. Personal Injury law has developed in such a way as to cover all of the kinds on injury that can result from an incident. One of the most severe cases of personal injury for anyone to deal with is in instances where an accident results in brain injury. Dealing with a personal injury claim can be an incredibly trying experience, and is no less so when an injury has had an impact on an individual’s brain, the very thing that gives someone their personality and lets them live they want to live. As a result, the law provides for how these kinds of cases should be dealt with. It must be proven that the duty of care owed was breached – the person who will have to defend against any personal injury claim, the defender, failed to observe the standard of care that would be expected in the circumstances. Generally speaking, most personal injury claims for injury to the brain tend to arise as a result of accidents on the roads by a collision of cars or other motor vehicles. Road users are required by law to exercise a reasonable degree of skill and care when driving a motor vehicle and to avoid doing anything or not doing anything that could injure fellow road-users or pedestrians. The Highway Code can generally be used to establish that a breach of the duty of care has happened. It is after these criteria are met, that the law looks to deal more carefully with personal injury claims that are related to brain injuries. Where someone has suffered a physical personal injury that was reasonably foreseeable as a result of the conduct of the defender, the law now works in such a way as to make that same defender responsible for any mental injury that is suffered. However it cannot be overemphasized that a defender will only be responsible for this kind of injury e.g. 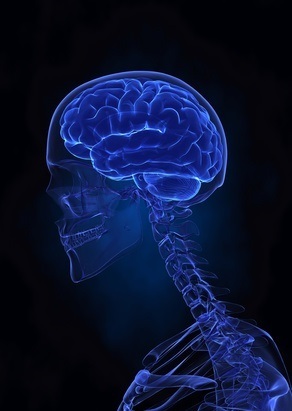 brain injury if the physical injury i.e. head trauma essentially contributed to the mental injury/ illness. If this is not the case, then the loss to an individual i.e. the brain injury will be viewed as being ‘too remote’, or too far removed from an accident to be included in liability for physical injury. In law, this is called the “thin skull” rule. These kinds of cases are normally dealt with by expert evidence being led by professionals who will be able to say whether or not it is likely that a physical injury materially contributes to a mental injury. It is important to note that cases concerning brain injury that are alleged to have been the result of medical treatment are dealt with under different criteria, and should not be confused with any other kind of personal injury action. If someone believes that there is a potential brain injury claim that should be raised, as with all kinds of personal injury claim, the details are incredibly important. It is always advisable to work in partnership with an experienced claims solicitor who is very familiar with handling brain injury claims, as they are very complex. What was the mental injury? When did the mental injury become apparent? Who identified the mental injury? Hospital/ medical records are always incredibly important in claims regarding an alleged brain injury. Furthermore, individuals should try and note down as much as they can about an accident as and when they can. It is also advisable that individuals avoid adding embellishment to the facts of any situation, as this will likely confuse matters and make it more difficult to pursue a claim quickly. An important point to note in terms of the compensation that might be available in a brain injury claim is that sometimes, solicitors may be able to arrange for some of the compensation to be issued before the claim is settled – provided liability is accepted. This can be helpful in alleviating some of the financial strain that brain injury has on individuals but will depend on the individual circumstances of a case.